A window seal is often a type of adhesive material that’s shaped like tape or a cord that you install around the edges of the window. 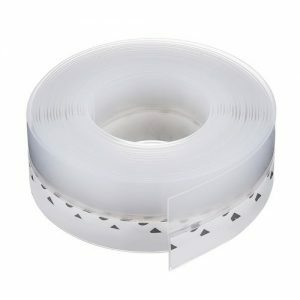 This will easily dampen the sounds of the window moving, and it will seal any cracks or openings where sound is coming in. Not only that, but it creates a buffer, forcing sound to travel through it before it reaches your ears, thus reducing the overall amount of sound that gets into the house. The best thing about window seals is that they are incredibly easy to install and are very inexpensive. 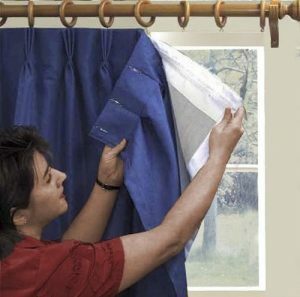 Just buy the roll, peel off the material on the back to expose the adhesive and then stick it around the window’s edges. Most seals are made for internal installation, but external installation is fairly common. However, this doesn’t provide as much soundproofing as other methods. There’s only a small barrier, and it tends to work best only if there are cracks as the seal immediately closes them up. If you have a busy highway outside your window or other very loud noises, then you may not notice much of a different. But, if it’s just a little but of noise, then this will be just fine. These aren’t your standard curtains, they don’t just keep light out. While they are able to block the sun, they are much thicker than common curtains and thus are able to create a substantial barrier against sound and noise. Sound has to penetrate the thick material before reaching you, and this barrier should be enough to significantly reduce noise to an acceptable level. Many of these curtains have insulating properties, meaning that you get the added benefit of a reduced energy bill. They also cover the entire window, not just a small portion. This gives you more effective soundproofing. While they are more expensive than a soundproof seal, they are still relatively affordable. They also come in many colors, making it easier to find liners and curtains that will match the room. Installation often involves screwing in a top liner and then feeding the grommets through there. Perhaps the only downside is that these curtains will block the light, making your room very dark. If you like natural light or if the room lacks any lighting, then this might be a problem. This DIY option is fairly affordable, but it takes a little more time for installation. 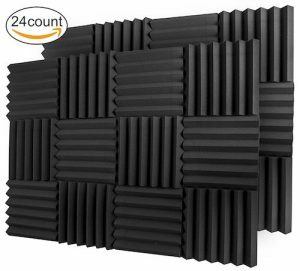 First of all, you need to buy some soundproofing foam. There are many types of different foam, from pyramids to triangles to wedges, but the shape really doesn’t matter. The only thing you should be concerned with is the thickness. Make sure that the foam is at least two inches thick, anything thinner is ineffective. Cut the foam into strips, also around 1-2 inches thicker. Thicker is better here as it will dampen the sound better, but don’t go over the edge. Too much will make the window inaccessible. Place the foam around the inside of the window frame. Pack it in nice and tight. For most windows, it should be able to stay on its own, but you may need some adhesive to make sure it doesn’t come out of place. If you’d like, you can place the rest of the foam around the window for added soundproofing. This method is very effective, but it does require more work and you must be comfortable with cutting foam. There are soundproof windows. These are either made from thicker glass or they are designed to trap noise within the glass panes so that you hardly hear anything from the outside. This is the most expensive method of soundproofing a window, and installation may be too difficult unless you are familiar with installing windows on your own. At the same time, this is one of the most effective ways to do it. Visit your local hardware store or anywhere that specializes in windows and see what they recommend if you choose this method.